See also: minutes from May 24th and May 25th. A Web browser should be broadly construed as an environment for executing mobile code within the constraints of the Open Web Platform, and should include products that are not traditionally positioned as a browser. As the workshop has identified various areas where multi-stakeholder standardization would dramatically improve the Web for all, the W3C should consider chartering new work focused on identity on the Web. However, much of this work is still experimental and there need to be draft proposals to effectively scope this work. At least one Working Group should be launched, depending on the maturity of the proposals for future work, if there is sufficient support from both browser vendors and the larger Web community. This work should begin with the crytographic API, but perhaps include identity management using account managers and APIs for that functionality. Work that is more research-oriented or less mature, such as security indicators and non-phishable credentials, should begin in the new lightweight Community Group process. Standardization in this area will also require the co-operation with work within other standards bodies like the IETF around possible areas like mutual authentication. The general scope, requirements, and each concrete area of future work are detailed below, along with possible relevant draft proposals. This report concludes with a more detailed analysis of next steps for broad, multi-stakeholder standardization. For a clear articulation for why to begin in the browser, John Linn of RSA (slides) noted that browsers are a logical place to start given that users frequently interact with and have a natural trust in browsers. He also pointed out that any protocol must have value to site operators and regulators as well. However, browsers are no longer simple, stand-alone desktop applications. For example, Netflix produces browsers, even though there may be no visible chrome. Similarly, many smartphone applications are often just Web applications running in an execution environment that doesn't look like a traditional browser – and today, each of these mobile applications has their own sign-on. As stated by Jeff Hodges (Paypal), a browser should ultimately be broadly scoped as an execution environment for mobile code. As put by Dirk Pranke of Google (slides), identity is a "wicked problem" where solutions are not either definitely good or definitely bad; instead one solution is merely considered better than another within a specific context. There is not an immediate test of what will happen when a particular technology to solve "identity" is deployed, and unlike the trial-and-error process in science, failures in this area are not celebrated by the marketplace. Why should standardization of identity in the browser happen now, and why will it succeed where previous attempts have failed to reach massive deployment? RL 'Bob' Morgan of University of Washington and the InCommon Federation (slides) touched on what has been dubbed the "NASCAR problem": a user is presented with multiple logos or dropdown boxes of identity providers, from which they must select the appropriate provider. Paul Trevithick from Azigo (slides) then showed how InfoCards attempted to solve the problem by using a simple online "card" metaphor to represent a user's identity, various personae, and related personal data. Upon browser initiation, the user could then select the card that matched the site's requirements. According to Morgan, due to both user experience issues and being viewed as an overly complex Microsoft-only initiative, InfoCards did not receive widespread support. Security and maintaining user privacy were also stated as a strong requirement. Brad Hill (slides), an independent participant at the workshop, presented on some common flaws of distributed authentication and identity systems. Among his concerns were drawing out unconstrained delegation (particularly OAuth2 "bearer token" leaks), unscoped or overscoped authorities (certificates), and other mechanisms that can be very dangerous and yet are still widely deployed. It should be considered that while users don't know how to ask about or express security requirements, they still have important expectations that cause technology to fail if ignored. Frederick Hirsch of Nokia and chair of the W3C DAP Working Group (slides) noted that seemingly simple requirements, such as "preventing correlation of identifiers at service providers" can have large implications on implementation and adoption. He also noted the importance of "Privacy by Design", incremental deployment and applicability of the FTC "Do No Track" requirements of universality, usability, persistent user choice, effectiveness, and applicability across services. John Tolbert of The Boeing Company (slides) expressed that any solutions bringing identity into the browser solution should be compatible with widely deployed standards like SAML used for enterprise identity. The REST-GSS API, built upon commonly available IETF GSS-API implementations was put forward by Nico Williams from Cryptonector (slides) as the right level of abstraction for most Web application developers to access security in the browser. REST-GSS offered a common pluggable interface for authentication that was compatible with passwords, Kerberos, PKI, EAP/AAA, SAML, OpenID, and OAuth. It is also entirely above HTTP, as REST-GSS authenticates message exchanges via POST and and log-outs with DELETE. Almost every browser has some sort of an account manager designed to handle user identity data. Unfortunately, today it is difficult to synchronize identities between between different browsers or between Cloud-based services. There is also little integration of the browser-based account manager to to the underlying account management capabilities of the device platform. Furthermore, secure authentication of the user was outside the scope of many existing identity-related standards (SAML, OpenID, OAuth), so a secure solution in the browser would benefit existing federated identity schemes. Dirk Pranke of Google (slides) presented on how very few people used only a single browser on a single device, so that interoperable and secure synchronization of identities across browsers on different devices should be a clear objective. Craig Wittenberg of Microsoft (slides) presented that contrary to the three-way interaction model of server-side federated identity (featuring interactions between an identity provider, relying party, and user), a two-way interaction model between the user's browser acts and applications which would provide a more secure solution and allows the account manager to be eventually upgraded to using non-phishable credentials. David Singer and Ted O'Connor from Apple (slides) supported better managing of session state and identity from the browser. Esteban Manchado Velazquez of Opera (slides) also strongly supported cross-browser standards for account manager synchronization. There was remarkable consensus from the browser vendors on supporting cryptographic APIs and account manager standardization. Currently, there are no agreed upon account management standards in the browser, but developing draft proposals based on current implementations should be possible fairly quickly. Most browser-based account managers also facilitate Web interactions by automatically pre-filling HTML form fields and storing usernames-password combinations. While current heuristics assist users in filling out forms, standardized types for session management and identity in HTML forms would help automated authentication via forms. While simple types for email and passwords exist already in HTML Forms, they are not bound explicitly to an identity session which should contain more explicit "logout" and "remember me" functionality. Tantek Celik (slides) presented a draft for feedback, and similar ideas have been supported by Adrian Bateman of Microsoft. All of the browser developers present at the workshop agreed that their current heuristics for form management could be improved by some simple standardization. Another option could be standardized authentication triggers (with a response code like HTTP 401 for automated user-agents), and "trusted pop-ups" for higher security logins. Philip Hallam-Baker of The Comodo Group (slides) pointed out that in order to make the account manager truly portable it has to work on all existing web-sites and legacy browsers, so any standardized identity solution must work with services in the cloud. The Nigori Protocol to store encrypted information in different "parts" of the cloud was brought up as relevant. Sam Hartman of Painless Security (slides) stated that identity in the browser requires the platform to provide features missing from Web applications, such as operating-system level identities, cached credentials, security policy, and channel bindings, and suggested that this work liaise closely with Project Moonshot (IETF AFAB Working Group), which is working on non-Web identity federation in the platform. Standards also have to be developed to interface beyond the browser. Dirk Balfanz of Google (slides) presented on how the ability of a browser to automatically sign-in and connect with account identities in the operating system is crucial, especially for mobile devices like tablets. However, there needs to be a standardized API for Web applications to ask the platform-based account manager for authorization tokens and for the platform-based account manager to return those tokens. Furthermore, there should be a standardized way to get credentials from servers into the account manager in exchange for tokens, and ideally for a new HTTP header with an attached URL to automatically log-in users. The vast majority of attendees, including several interested vendors, supported the creation of a common set of standards to deal with account management in the browser, with all browser vendors supporting the addition of better identity mechanisms in forms. This work needs to be further developed into a series of draft proposals as soon as possible, and thus may be suited to a Community Group, which would eventually transform into a W3C Working Group if the Community Group work gains enough support with the browser vendors and the wider community. A common theme was that some aspects of identity management in a browser could be contradictory to current proposals for “do-not-track” and “anonymity protection”. Mary Hodder of the Personal Data Consortium (slides) argued that the browser should provide tools to deal with data disclosure around identity, in particular as anonymous and multiple (possibly pseudonymous) personae were exceptionally important to women. Aaron Brauer-Rieke of the Center for Democracy and Technology reminded the audience not to save the privacy discussion for later (pointing to OECD/FTC privacy principles) and that browsers were a good point for policy enforcement around privacy. 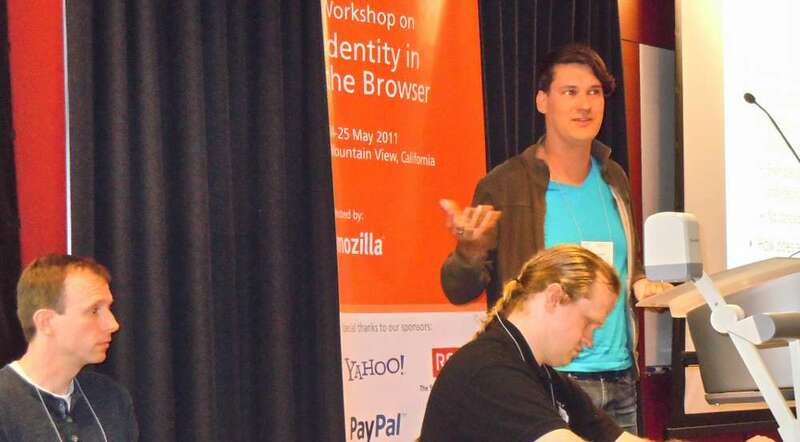 Mike Perry of the Tor Project (slides) described the giant disconnect between how users perceive their identity in the browser and the reality of current tracking on the Web. In particular, he suggested that users need to understand that simple approaches are insufficient to describe how their activity on one domain can be "linked" cross-domain by other domain. A possible solution could be a dual-origin policy that checks tokens for both compatibility of the origin domain and the third-party domain. Current private browsing modes do not detect against third-party linkability and different browsers have different flaws as regards private browsing as shown by researchers ("Private Browsing", PDF). Second, a user's identity could be thought of as the state of all their relationships, known or unknown, with other sites. Therefore, anonymous browsing could just be considered a special case of identity in the browser where users could click a button to get a clean slate for a new identity. The presentation of Wendell Baker of Yahoo! (slides) argued that improved identity management in Web browsers can help advertising mechanisms which are currently disconnected from "user-centric identities", as the ability of advertising systems to interact with more detailed identities can more effectively tie advertising mechanisms to particular users and reduce the computational overhead of current Web-tracking systems. Thus better identity in the browser is actually not a threat to advertising, but a win-win for both privacy advocates and Web advertising, as it allows users to disclose information in a way that can provide more accurate information to advertisers but also hide their identity when necessary. What is the right primary identifier for any user? Michael Hanson and Dan Mills from Mozilla (slides) noted that email addresses are the right identifier, since e-mail addresses are federated by design, users already understand them, and they offer a way to communicate to the user easily. The Verified Email API and Protocol by Mozilla using verified e-mail addresses to determine user session state and allows the browser to directly share verified (signed) attributes with relying parties. Brian McGinnis of Janrain (slides) showcased their Backplane specification, which provided similar functionality for "widgets"; in particular, sites composed of widgets coming from different servers that listen (and could not post) to a "backplane" could get identity information tied to a browser. Tyler Close of Google demonstrated how the Web Introducer API could solve both some of the security problems associated with the exchange of identity information (specifically by using iframes and pop-ups for completion of actions), thereby preventing clickjacking and getting reliable confirmation of intent. The technique of trusted attribute exchange provided directly from the browser could enable "Device ID", i.e. for attributes about the device the user is using to be transmitted in a secure and reliable manner. Mark Watson and Wesley Miaw from Netfix (slides) noted that many use-cases ranging from medical records to digital content rely on guarantees of device behavior, and offered to draft an API. Jack Matheson of Intel (slides) demonstrated that trusted hardware could be a component of the flow, but that hardware manufacturers are wary of introducing "legacy" or "premature" solutions. There were other variations upon trusted attribute exchange, such as David Chadwick's from the University of Kent (slides) work on letting a service provider sites transfer their security policy as a standard MIME type. The option of using zero-knowledge proofs (e.g. proving membership in a group without revealing one's identity) to prevent collusion between identity providers and relying parties was of interest. Jeff Hodges of Paypal pointed out that "phishing will be fun and profitable" until the re-usable shared-secrets used by username-password based systems are replaced by non-phishable credentials such as asymmetric keys. Better credentials should use techniques such as channel-binding to increase security, and go beyond even automatically generated high-entropy passwords. This view was reinforced by Dan Schutzer from FSTC (slides), who noted that for financial and other high-risk and high-value transactions, the entire flow between user, device, and the service had to be secured both technically and with legally enforceable contracts. Thomas J. Smedinghoff of Wildman Harrold , the co-Chair of ABA Federated Identity Management Legal Task Force (slides), said that any legal rules as regards identity on the Web must either be drawn from existing law statues or be specified in new contracts. Therefore, new contracts should be drawn for liability for identity in the browser standards. New government initiatives, such as the National Strategy for Trusted Identity in Cyberspace (NSTIC), are already expecting standards bodies to help push industry to go beyond password-based solutions as well. Don Thibeau of the OpenID Foundation (slides) presented on how increasing security in browser-based authentication is complementary to ongoing work on in other groups like the Open Identity Exchange on trust frameworks. Francisco Corella from Pomcor (slides) argued that if NSTIC only used current OAuth-based architectures it would lead to increased user-tracking and phishing attacks, so that a decentralized alternative was needed. One example of non-phishable credentials is mutual authentication, where both the server and client mutually authenticate each other. Yutaka Oiwa from AIST Japan (slides) presented a proposal for a Mutual Authentication Protocol for HTTP, where user authentication only succeeds if both the site and the user independently verify in a secure manner. This could be a correct password provided by the user in some secure part of the chrome, but historically the general weakness of this schema is the reliance on a "secure" login, which can only be done in the chrome. Therefore, one possible solution is some kind of "trusted" pop-up, but there is already a lack of support for traditional HTTP Auth "pop-up" mechanisms. Historically many sites are unwilling to give up their "log-in" forms, but there is increasing evidence sites might give up their customized log-in procedures if it increased traffic to their site. Another proposed solution would be to use credentials stored in the operating system when the user "logs-in" to the operating system, allowing access to various non-browser credential vaults. Due to the ubiquity of smartphones, instead of emulating "1960s technology" like passwords with smartphones, new work should take advantage of video and voice for authentication. Siddharth Bajaj from Symantec (slides) gave a proposal to "hide the complexity under the hood" of techniques such as two-factor authentication over everyday use of mobile devices, such as remembering the PIN number for our devices. Another problem is how to authenticate to begin with, as covered in the overview by Jonas Hogsberg of Ericsson (slides) on how mobile standards like the Generic Authentication Architecture/Generic Bootstrapping Architecture (GAA/GBA) could form the basis for boot-strapping secure authentication for mobile devices. Other solutions point to leveraging social networks for boot-strapping authentication. Any secure authentication mechanism bound to any non-phishable credential on the device should also have a clear revocation mechanism when the device is missing. Insofar as TLS is widely deployed and accepted as a way to secure server authentication, any future identity standardization is endangered by the current critical situation around certificates. The current issue with certificates is that any certificate authority can issue a certificate for any web-site, so once a certificate authority is compromised malicious agents can create "fake" certificates for websites that are very hard to detect. In many of the breaches the announcement of certificate revocation have been public soon afterwards, but browsers have varied in how quickly they process these revocations. What seems to be lacking is a combination of the standards around participation of the browser in the larger certificate-authorization process, client certificates that have some authentication mechanism, and a certificate authority system that presents itself as a single attack surface. As accepted server and client certificates are part of each user's browser state, they are definitely part of identity on the Web, they are crucial to solving the identity problem of the Web. According to Steve Schultz and Thomas Lowenthal of Princeton (slides), a scoped delegated trust model would be better, just as the current domain name system is scoped. Henry Story (slides) presented the WebID protocol, in which a URI in the client certificate allows for a "Web of Trust", given by connections on a profile URI, to be used for authority instead of a certificate authority. There were concerns that such a user-supplied call-out by servers creates a larger attack surface (with an example being denial-of-service attacks on profile URIs) and incurs a high performance cost. In any case, the work of the IETF DANE WG around DNSSEC to attach certificates to the DNS for "out of band" could end up being vital. In conclusion, the security issues around certificates need to be resolved, but is likely predicated on larger changes to certificate authorities, a clearer update mechanisms around trusted certificates in the browser, possible changes in the use of client certificates, and interaction with other bodies such as the IETF and the CA/Browser Forum. No agreement came out of the workshop. Thus, the recommendation of this report is to keep awareness of certificates as part of any identity work, but also to host a separate workshop on the robustness of the Web together the relevant stake-holders of the wider certificate system. There is already close to full consensus on doing work on a Cryptographic API, and work in this area has already been discussed in the W3C WebApps WG and HTML WG, as well as the IETF Security Area. Therefore, this work should be encouraged to continue in a single forum (ideally a Working Group) with a well-defined schedule in the W3C, with tight liaisons to the Web Security area in the IETF. A majority of browser vendors would see benefits in standardizing the browser account manager as an identity manager as long as it offered standardized communication with the platform, and there was also some interest in seeing this information exposed via an API for identity in the browser. However, the draft proposals are still in need of further development, with anonymous browsing and multiple personae in a single browser being a requirement. Again, this work should happen in a forum, either a Community Group should be formed to mature and gain support for various proposals or there should be a Working Group if browser vendors are confident of the success of such an approach. Webapps, browser extensions, and even platform applications would benefit from secure, user-authorized access to identity data in the account manager in a uniform way; thus we may standardize an identity API for data exchange and synchronization, perhaps using existing identity data formats. This should ideally happen in parallel with the standardized account manager. The W3C thanks J. Trent Adams, Internet Society Outreach Specialist on Trust and Identity, for co-chairing the workshop with Harry Halpin (W3C). Thanks also to the Mozilla Foundation for providing host facilities. 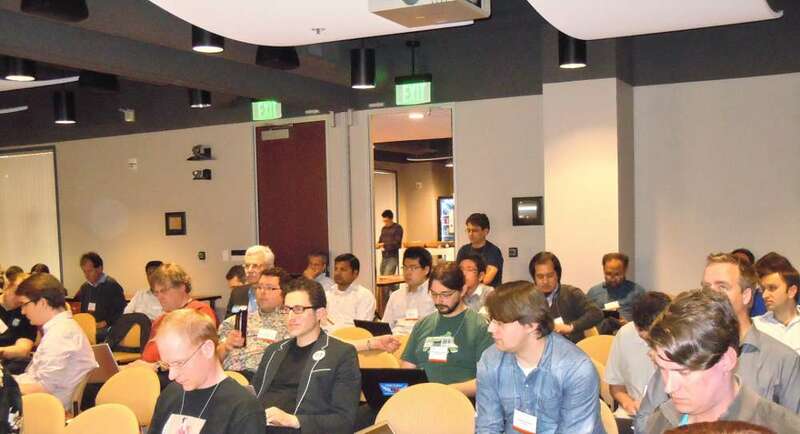 Special thanks also go to Yahoo!, Paypal, and RSA (The Security Division of EMC) for sponsoring the workshop. For corrections, additions or comments, please contact Harry Halpin.